Here's what you need to know, from a VPN Definition to The Best VPNs. It's one of the most asked questions on the internet. "What is a VPN?" A VPN definition seems like a great place to start. VPN stands for "Virtual Private Network." A VPN essentially creates a secure, unhackable network inside the internet for you to use by encrypting your traffic and hiding your IP address. In a nutshell, your computer (or smart phone) is assigned an IP address every time you connect to the Internet. We explain this more detail here, and we have additional articles on VPNs in our newly redesigned VPN Learning Center. Here's a more elaborate VPN explanation. A VPN is a computer program (or a mobile app) you sign up for online. 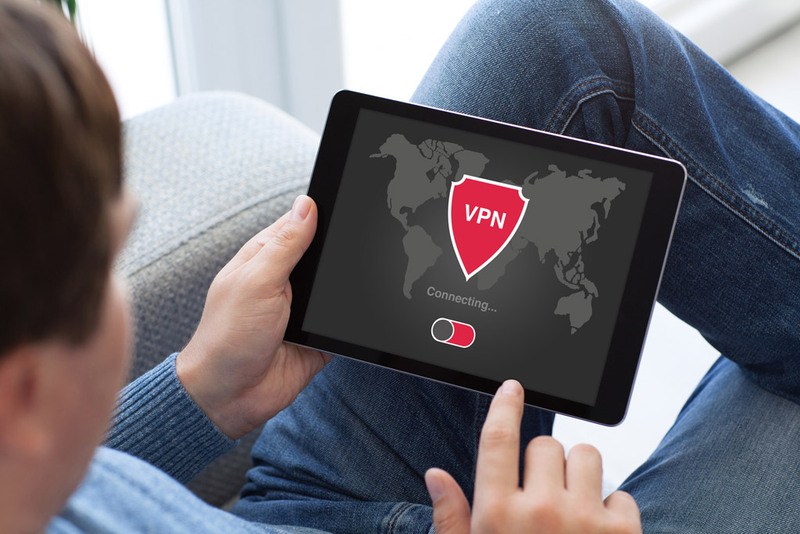 Once you've picked a VPN and set up an account, you can connect to your VPNs network when you go onto the internet. What happens then? You use the internet like always, with one main difference. When you "turn on" your VPN, it routes you through a now safer internet connection, with more privacy and access—when you use your Virtual Private Network to its full advantage. And when you're using your own personal, private VPN service, you control your internet experience. The key word with VPN is private. By the way, you may have heard the term VNP Proxy before. Don't be confused. There is something called a proxy, and it does something similar (hides your IP address), but it is definitely not a VPN service, which provides more benefits. You have probably read plenty of advice about the need to get a VPN online, but it's always good to understand why you would want one. And if you're still a little unclear about signing up for a VPN, this is best place to start. 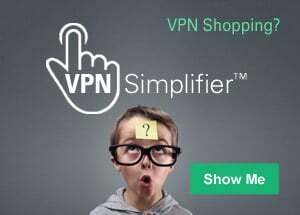 We can make it easy for you to CHOOSE the right VPN within just a few minutes by heading over to our VPN Simplifier. If you want to go to a list of the best VPNs where you can compare VPN features side-by-side, visit our VPN Service Comparison. If you want more of an explanation about VPN basics, just read on. The Top VPNs: Which Ones Are They? First off, you might want to know the names of some of the top VPNs out there. Here they are. The following will pop up on most "Top Ten VPN" lists. In fact, these are the VPNs you'll see if you go to our VPN Service Comparison chart. But a list of the top VPNs doesn't do you much good unless you know a few things first. What do you want a VPN to do for you? How do you pick a VPN? What do you want from a VPN? MORE PRIVACY. Millions of us want to keep the government and Internet providers from "spying" on them, and they also want to keep advertisers from tracking their online activity. A VPN does that. EXTRA SECURITY. A lot of us are worried about hackers or other snoops intercepting our internet traffic from a network, especially when using free Wi-Fi—an unsecured hot spot network. A VPN can help eliminate that worry. GREATER ACCESS. Have you ever been blacked out of Netflix or a sporting event (a soccer game, for example) because of your geographical location? If you use a VPN you can bypass that problem. But there are other reasons, a little more specialized. Here are a few. A VPN can help you get around censorship in some countries. A VPN makes streaming/downloading movies easier and safer. I know what you might be thinking about now. "Do I really need VPN?" Well, the answer to should be a resounding "yes." Why you need a VPN. Internet privacy and experts all agree that we should be using a VPN as often as we can. They cite the following main reasons. UNSECURED NETWORKS. When you're using free Wi-Fi—at malls, coffee shops or hotels for example—anyone can jump on the network. If there's a skilled prankster nearby, you could be tricked into connecting on to his network or he could see your internet activity. GOVERNMENT SPYING. It's on the increase. Often it's not "spying," but falls under "monitoring" citizens' internet activity for threats. But it just sounds like spying. ISP MONITORING. Internet providers track their customer's internet traffic and even sell it to businesses and advertisers. Your privacy is under attack. You should even think about using a VPN at home. While you might feel safe at home or work, where you generally have a secure connection, there is likely someone monitoring your internet activity and collecting a profile on your internet habits. In fact, it's almost certain that someone is doing that now. 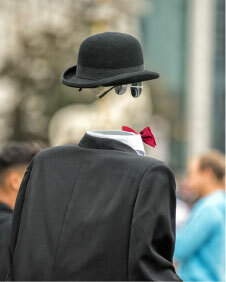 Even if they can't identify you by name, is that what you want? You might be wondering how a VPN can make a difference, and if using a VPN really can do all that your reading about. The answer is YES! VPNs can help you control your internet experience. A VPN works by hiding the actual IP address you're using when you're connected to the internet. It's as simple as that. A VPN secures any of your internet traffic by encrypting it (scrambling the data) AND sending it through a secure network. If you'd like to read some helpful articles on IP addresses, we have plenty for you in our Learning Center. Check them out. Here's the bottom line about what a VPN does. It protects your internet traffic and makes it unhackable. It hides your footsteps and fingerprints on the web as you go from website to website, and makes your virtually invisible and untrackable. And to repeat, it does that by masking your actual IP address (the one that can be tracked to you) with by giving you an IP address that cannot be tracked to you. Using a VPN while online makes you virtually invisible by hiding your digital fingerprints as you browse the web. In fact, you can deliberately make it look like you're in another country. As far as websites know (or internet snoopers, advertisers even your ISP), you're visiting their website from Canada, based on the IP address your connection shows. Remember...they won't see your actual IP address. It's still there, still active, just masked from everyone on the internet. At this point, you should be convinced that you should be using a VPN and understand what a VPN can do for you. Best of all, a quick-and-easy VPN download of their software or app is all it takes. That should make choosing a VPN easy, but most people find that's not the case. As you start exploring VPNs online you'll see all these advanced features and complicated terms pop up that can confuse you. You'll come across terms such as VPN protocols, torrenting (or bit-torrenting), AES 256-bit encryption, and many others. Just so you know, VPN protocols are the encryption standards and transmission procedures they follow; torrenting is basically movie downloading; and AES 256-bit encryption is a message scrambling technology. What's most important to you—Security? Privacy? Access? You don't need to understand EVERYTHING about a VPN. You simply need to know what you want a VPN to do for you. What's most important to you? Security? Privacy? Access? And anyway, most of these obscure terms describe features that are "built-in" to the VPNs to begin with. Why is that important to know? It means that most VPNs offer the same features. You don't have to decide whether or not you want them because they all come with the VPN. Our advice? Don't worry about the terms you don't know about--If you choose a top-rated VPN, you'll likely get the benefits of the best any VPN has to offer. How to Choose a VPN. As mentioned before, WhatIsMyIPAddress.com makes it easy for you to understand, get or choose a VPN. Get Started with our VPN Simplifier now.